We are a family-owned & operated company & honor our client connections greatly. Our services are based on trust & loyalty to creating a finished product that makes things beautiful for your family. Modern landscaping is more than just grass and shrubs. It's drainage, light and shade, aesthetic, color and contrast. And True Scape Design is more than just gardening. We can increase the value of your home by beautifying beds, planting edibles, building a patio, increasing street appeal or making a relaxing outdoor room! Let's get your project started soon! Studio 342 Landscape Architecture is a Seattle-based landscape architectural firm, specializing in creating high-end, custom contemporary landscapes for residential, commercial and public spaces. Born and raised in Seattle and trained in architectural design and fine arts, Michael Muro has years of experience creating beautiful, sustainable gardens in the Pacific Northwest. The Watershed Company is a landscape architecture firm in Kirkland, WA. 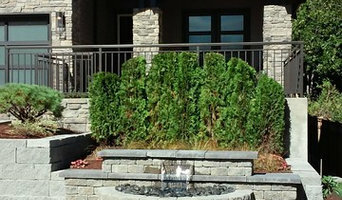 We specialize in ecological shoreline designs that incorporate native, drought-tolerant and wildlife-friendly plantings. Our staff includes permitting specialists and engineers, ensuring that designs are feasible and sustainable. Call today for a consultation! Designs begin at $4000. We work closely with our clients to realize their vision. With 26 years of experience, we give each project a personal touch, with a goal to achieve a sustainable, pragmatic and beautiful result. 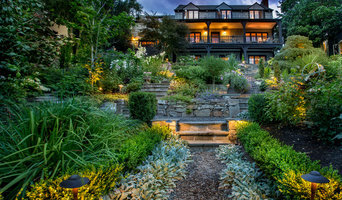 Kim Rooney Landscape Architecture is a boutique design office in Seattle Washington established in 2005. Kim Rooney has twenty years of experience designing hundreds of projects. From gathering spots for entertaining to lush, private retreats, we create the perfect outdoor living space for your lifestyle. 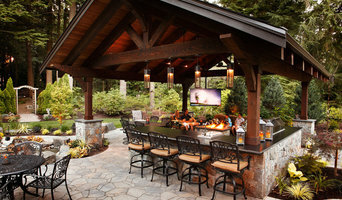 For over two decades, Sundance Landscaping has been the premier Seattle landscape company, creating gardens of substance that reflect their owners passion for excellence. Greenwood concentrates on serving upscale, Eastside homeowners with landscape design, installation, renovation and tree services. Recently, the firm expanded into commercial and municipal work. Noriko Marshall Landscape Architecture focuses on residential landscape architectural designs. We provide: site analysis, code reviews, conceptual design, planting and construction plans. Professional landscaping anchors a house to the site, connects it with the environment and creates a welcoming entrance to a home. A Bellevue landscape architect or designer works with living plants as well as building materials to design for future growth and maintenance as well as the present visual appeal. Landscape architecture is very regional, so look for a landscape designer in Bellevue, WA that’s familiar with the local climate and plant types that do well there. Start here to learn more about the landscaping services in Bellevue, WA that will help create your dream garden. The work of this outdoor professional includes most everything surrounding a home's exterior. 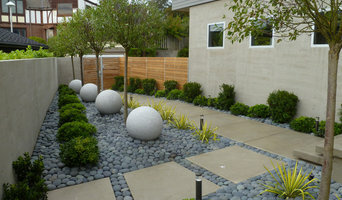 A landscaping architect can even work with the home architect to choose the right spot for your Bellevue, WA house. From there the Bellevue landscaper will develop preliminary concepts for your front or backyard design based on individual needs including the climate and activities that will take place, as well as layouts and planting plans. Landscape architects will also design any structures or outbuildings that will be added to the space. Any grading changes that will be added to the yard are also the responsibility of the architect. This includes any drainage modifications. An engineer can also be responsible for these tasks, but licensed Washington landscapers are fully capable. Like building architects, they will produce preliminary concept drawings as well as detailed construction documents and planting plans. Three-dimensional renderings and illustrative plans are all supplementary. A Bellevue landscaping designer generally will have ecological, aesthetic and technical training, which helps them maximize the potential of your outdoor space. Keeping in mind both style and functionality, garden designers analyze your architecture and yard to produce a plan that may or may not include location and materials for walkways, patios, water features, fences, garden aspects and more. In addition, a landscaper in Bellevue, WA will carefully assess your geographic region to choose plants, trees and flowers that will flourish naturally, as well as address concerns such as drainage, screening and soil conditions. Certain landscape designers only help with the planning portion, while some may deliver the plans and then oversee a hired landscaping contractor. Others — typically following a design-build approach — take care of both the design and all aspects of the landscape architecture and construction. Find a Bellevue landscape architect on Houzz. 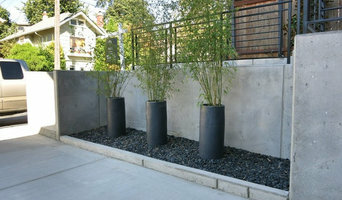 Narrow your search in the Professionals section of the website to Bellevue, WA landscape architects and designers. You can also look through Bellevue, WA photos to find a space you like, then contact the professional who posted the photo.